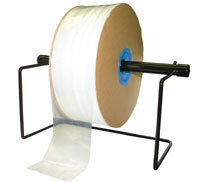 This tubing is made from 100% virgin low density polyethylene. The material is treated to allow for printing directly on the bag. This poly tubing meets the FDA requirements for food use. 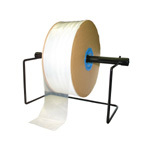 This product is excellent for packaging products of varying lenghts and is heat sealable. Supplied on 12" diameter rolls, 725 feet per roll.